As a New York City suburb Long Island shares the same ethnic diversity not only in population, but in restaurants as well. Whatever you want: Mexican, Spanish, Chinese, French, Italian, Indian, Japanese, seafood, steak, barbeque… There are Long Island restaurants serving it. And not just one or two. There are hundreds, maybe even thousands of Long Island restaurants serving up your favorite foods. Although the popular coastal areas such as Freeport or Greenport are a good place to find seafood restaurants that’s not all there is. The heavy concentration of restaurants in these areas are as varied as those across the rest of Long Island. 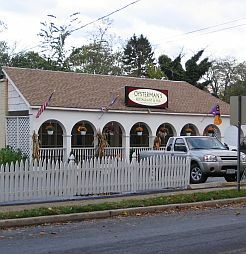 You’ll also find a lot of restaurants on the Long Island wine trail. 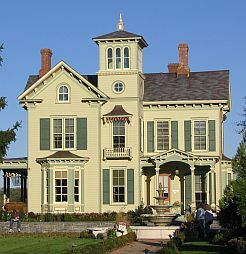 This area on the north fork is the seat of a regional cuisine that has been developing over the past 30 or more years. Chefs like John Ross, author of The Food and Wine of the North Fork and too many others to mention here use fresh local ingredients to create dishes that really present the flavor of Long Island. Whether you’re craving a burger and fries or haute cuisine, no matter where you are on The Island you’re close to great food. Below are reviews of just a few of my favorite Long Island restaurants. Legends Restaurant is slightly off the beaten path, but worth the extra few minutes it takes to get there. The food and service are excellent, the prices are reasonable, and the beer/wine selection is excellent. Kingston’s offers a variety of seafood, sushi and land fare in a casual maritime setting. The service is great, the food is good, and unlike most of Long Island’s dockside restaurants the setting is not reflected in the price. High quality fish, steaks, tapas on the Great South Bay. Nice bar, live music, great service, bar menu. A great place to finish a hot summer day. A great little seafood place at the Fire Island ferry terminal. Serves breakfast, lunch, and excellent seafood dinners. Not just for ferry passengers, this restaurant is worth checking out. This little road side attraction has been drawing crowds since 1926. The food is good and the prices are reasonable. As one of the last of its kind, Flo's shouldn't be missed. One of Long Island's brewpubs, John Harvard's has half a dozen or more homemade beers on tap at all times. The bar and dining room are spacious and comfortable, the extensive menu offers something for everyone, and the prices are reasonable. Danfords is good food with water views. Come here when you want gaze out to the harbor while eating breakfast, brunch or dinner. I love this place for an early weekday breakfast in the winter. 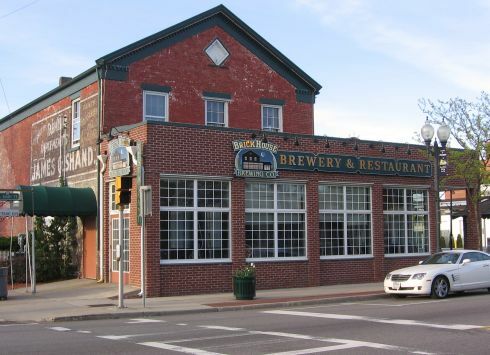 Grasso’s features excellent food and live jazz. Two dining rooms allow you to sit as close or far from the music as you like. Highly recommended. I’m here frequently during the summer and never get tired of the beautiful water views and excellent food. The Snapper Inn makes you feel like you’re on the water, not just looking at the water. I’ve only eaten here once, but it was a fantastic experience and I can't wait to go back. Not only is the food excellent, but the restored building and grounds are just spectacular. I’m here most every Friday night. Good food, prices and service in a comfortable setting are what keep me coming back. I’ve been coming here since I was a kid. I don’t live in Massapequa anymore, but about 4 times a year I make a special trip to enjoy hamburgers and fries like they were made in the good old days. 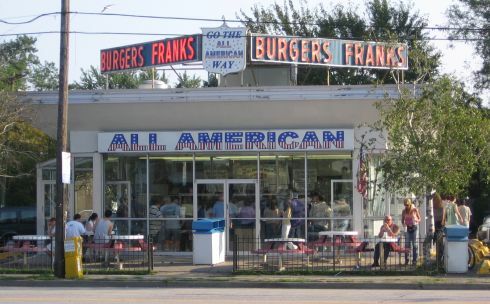 This Long Island landmark shouldn’t be missed. Excellent homemade beer, good food, and great service. I love this place. I even met Billy Joel there. This lavender building intrigued me for months before I finally decided to stop in. I'm not a tea lover, but every now and then I get a craving and here’s where I come to satisfy it. This is a really nice place to enjoy a cup of tea.